Ultimately, I went to study in the Exercise and Nutrition Lab at the University of Western Ontario, and wrapped up my grad work in Exercise Physiology and Nutrient Biochemistry. But really, I never learned what I set out to learn — exercise and sport nutrition coaching. 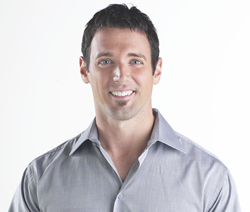 Enter the Precision Nutrition Level 1 certification, designed by Berardi, the co-founder and chief science officer of Precision Nutrition, and Ryan Andrews, RD and director for education at PN (and interviewed recently here at b2d). Its design fills a considerable gap in the nutrition coaching space for health, fitness and body comp success. Why? because it covers not only nutrition fundamentals, but then devotes the same amount of energy to how to apply and coach that esoterica in a way that is meaningful for people who eat food. Whether you're intrested in upping your nutrition know how for training others, or just want to know what a great coach would be able to offer, this course overview may be of interest. Success: I've just completed the PN level 1 cert, and it's very good (and i'm v.happy, too. You know, yay i passed? happy dance time). One might ask, how would i know a good nutrition course if it fell on me since i don't hold either an RD or a PhD in Nutrition or Exercise Physiology myself? Well, here's the thing: i have a lot of reps designing and evaluating grad and undergrad courses in a number of subjects, and reviewing text books for publishers. Quality will out. The same stuff that makes a good course in one area, i've seen, pretty much makes a good course elsewhere too. 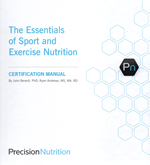 Also, in recognised training certs like the NSCA CSCS (which i do hold), there is a Big Component on bioenergetics, how the body uses nutrients for exercise, as featured in the text Essentials of Strenght and Conditioning . That courses' materials are pretty comprehensive. Similarly there are excellent general course texts in Exercise physiology like the awesome 7th edition of McArdle and team's Exercise Physiology. In both cases, the text material covers a lot more than nutrition. Meaning that, compared to PN's cert which is solely focused on nutrition coaching (with an eye on the need for exercise too), is better. In the PN cert, the course is delivered in two parts: nutrition fundamentals and nutrition coaching - all focused around health, fitness and body comp goals for the person involved. I take it that's a pretty unique emPHAsis. The first half of the PN certification focuses on the usual stuff one might expect to be covered in a course about nutrition, like how carbs and fats and proteins are processed in the body, but for me, it's done in a more accessible while still not oversimplified way. It also has components that the trainer certs so far have not. For instance, it's chapter on Water Balance goes well beyond what i've found in any of the cert texts and several grad course texts. The explanation on hyponatremia (too much water) is fantanstic - and by the way, too much water in a practical sense means relative to sodium balance. Amazing and rather critical point. Likewise the case study on how to use water effectively over a ten day period to make weight for a competition. Nice practical wisdom. Something else nicely done is digestion itself. Rather than just getting info on macro & micro nutrients, we get the big picture: what happens to a lump of food from the moment it enters the body till it leaves the body. Makes sense but you'll be hard pressed to find that in most units on nutrition or even text books on bioenergetics. Did you know that a hunk of food once it's moved from the stomach into the gut has a name? It's called the chyme. Before that, once masticated to be swallowed, it's a bolus. What are the two most important nutrient/energy stores in the human body? How are the responsible for survival? What does cholesterol actually do? Why is it important. What are ketones? why are they formed? What happens to carbs from mouth to cell? What's the relation of the fat we eat to our cells' membranes? In what ways can you estimate water needs for clients? When i first read over these questions before doing the course text, i thought man, these seem like really straight ahead quesitons - basic stuff for working with human beings - why aren't all of these on the tip of my brain? Above and beyond the nutrients, the vitamins, the phytochemicals, the authors are dead keen on people talking about, thinking about FOOD rather than macro/micro nutrients. "Because people eat food" and because food is more than macro/micro nutrients. Its got psycho- / sociologico- components, and these things are important for coaching real people who eat real food. Ah but we like to play with supplements, too, do we not? Well that's actually in the coaching section: how to understand when and where these might come into play. While this kind of clarity around digestive and absorptive processes especially relative to energy needs is fascinating and important, and i feel the better for having it, where the course sets itself apart is in how it maps out a process of coaching towards "outcomes based" goals. That is, goals that are meaningful, doable and especially, trace-able. There is as much attention to this part of coaching as professional practice as there is to the nutrition theory. Here's a practical take away. Folks who have used PN know that measures it takes are not only the scale and girth, but also 7 site skinfolds. Actually getting readings at each of those skinfold sites can offer up information about what may be going on in the body if say, fat is being lost from all but one of those sites. How bout that, eh? I'd spend a lot of time going through the literature looking at the accuracy of one measuring technique over another and why and when 7point sf's are good; had not once come across the value of any of those sites for specific information. Wicked. 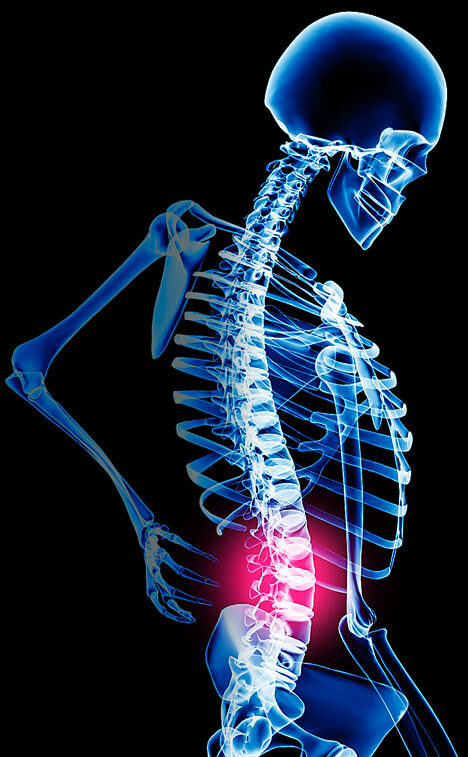 Why is it important to know a client's previous exercise habits? What are five staple supplements for regular or occasional use? What are five strategies you can use when choosing supplements to improve the risk/reward profile? What are the most common food allergies in adults? When displaying professsional committment to your clients, what key factors should you keep in mind? When might counting calories be important to your client's success. What can you suggest to clients who lack social support? What's your client's limiting factor for making change? The coaching part of the program has mutliple key components presented in progressive sensible fashion, each situated within when someone would do what : from gathering info, to interpreting it, to using it to formulate a plan, to assessing when it's actually the program not client adherence that may need tweaking; how to tweak a plan. And more: how to anticipate and work with client issues around getting one with their new nutrition practice. 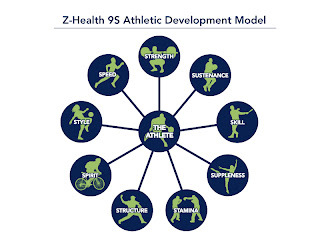 I've said recently how i really like the model of coaching that puts the athlete at the center and then considers the athlete's needs (i use the term athlete in the z-health way where if you're moving you're an athlete). I've presented the 9S model (overview here) that includes categorizes those needs in terms of sustenance, suppleness, strength, spirit, speed, skill, stamina, structure and style. The job of a great coach is to be able to figure out what the athlete needs when, and how to offer those skills to that athlete in a way that the athlete can hear and use. if offers strategies to help guide the athlete through the change process. it affords a network of colleagues to connect about challenges in practice. Beyond the approach and deliverables of the cert content, this course just kinda sings of quality, thought and beta testing. From a pedagogy perspective, this course presents really well constructed, well considered material, from the content to the study aids (and there are copious study aids for various learning modes). Likewise the material has been used for a module in a masters program, so it's had high level students test it out. And students are not shy of sharing what they think of materials. Its apparently thrived in that environment. Text Book Overview. The table of contents for the PN Cert textbook is online here. That will give you a very clear idea of the material covered and assessed by the program in both bioenergetics and coaching parts. Because the material here is not a single module in a larger program as it is in various trainer certs there is space to go into the material in a meaningful and applied way and in significant but practical detail. It's just a great book. Previewing the Coaching Methodology: If you'd like to get a flavour of the coaching methodology, there's a free, five day, 12 mins a day, mini course for trainers that PN has set up - and they provide the forms used for client assessment, too. I'm kinda stunned at how much material is given away in this wee freebie. If this mini-course speaks to you, then the cert will be right up your street. 6 forms of those used in the course for assessments are provided - that gives one an idea of the kinds of tools one will be able to offer a client to develop a meaningful assessment and build an effective outcomes-based program. Likewise, if you'd like a sense of the bibliography that informs this approach towards client support, here's an overview of the coaching books Berardi recommends. Even if you're not personally interested in taking a PN cert, looking at the above will help get a handle on what a great coach will be able to do to work WITH and FOR you and your goals. So if you're looking for a nutrition coach - someone to help you get going or tweak what you're doing, an easy thing you can do is just look at who's already listed with PN and go from there. how do you assess where i'm at and what my needs are? How do you refine goals? What is your style of coaching? What materials will you provide me? How long will "it" take to get where i want to go with you? How will you assess that? What kind of tuning do you do on an approach, when? And by reading the PN cert site, you'll have a sense of what the answers should be to those kinds of questions that indicate the potential for knowledge and quality. Last year i did a five day super intense course on nutrition and getting into some very intense topics in what's going on with inflammation, foods, diets and looking at the homeostatic and hedonistic attributes that contribute to why, effectively, change is tough. That course too spend a good deal of time on coaching practice with emphasis on motivational interviewing and approaches very much in sync with Berardi's above. We practiced these techniques a lot. I keep thinking what great synergies there are between these two programs. Looking Ahead from "theory" to praxis. Now PNL1 is what PN calls the "theory" side of their certification process. At a chapter a week, it's about a 16 week course. Some folks doing 2-3 chapters a week, it's faster. There's an invitation-only Level 2 which is a practicum and it's 6months long. It hasn't started up. But based on how much further ahead i feel with just this "theory" on nutrition coaching, i am prepared to be gob smacked by what the Level 2 practicum will require and provide. 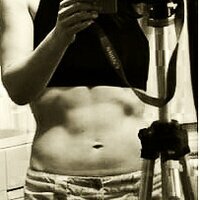 I've worked with folks before on nutrition planning. I've felt good about my work with folks and their progress. Right now, with this cert, i have to say i feel WAY better. I have better tools, resources, knowledge to enhance the skills i have and offer way better support. Excellent course, highly recommended. If you're looking for a great cert to add effective practical nutrition coaching to your practice, this is an awesome course. Even the exam is great - with an 80% pass rate. Really engaging. How often does one say that about an exam. Likewise, of course, if you're looking for good nutrition coaching, the PN certified directory is a great place to start. G'head, call me. Goodness, GOATgamer, glad you enjoyed the cert. What made you decide, with four years of "college nutrition courses" (in what degree? how many does that mean?) to take this course, too? that's really interesting. What do you mean "not so politically correct"? or "alluded to" on fats: seems pretty explicit in the text that we need a mix of fats, of which saturated are a part?? and that unlike most folks think, animal fat is not predominantly saturated? thanks for dropping by - and as a certified person, do you not want folks to know who you *really* are so they can connect with you?